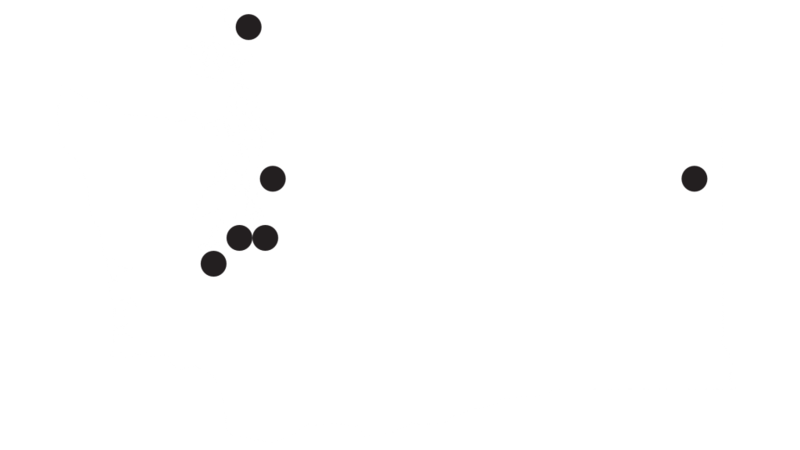 King County could build housing for miles. Instead, we’re reduced to a fight for inches. Bakaro Mall may be displaced by cops. 12th Ave. Ethiopian restaurant Saba is being kicked out. Displacement and gentrification robs communities and the people whose labor powers these streets. The fight for Halcyon Mobile Home Park is yet another example. A 55 and older community is about to have the land underneath their home sold to a developer. Why are our elders being asked to start over again? For those who’ve never lived in a trailer park, they may not realize why working people would fight to stay there, let alone purchase it from their landlords to create a co-op. Plumbing and septic issues, gas leaks, predatory yet absent landlords, and more generally await the park dweller. However, the park is a community. It’s a place where extended family and friends could conceivably live next door, and organic social structures arise among peers. This writer remembers living in the same trailer park as my grandparents in east King County. That’s why socialists fight for a trailer park. Even when we’re demanding to lasso the moon itself, we have to dig our heels into the earth to do so. Join the fight. To help, show up to City Hall for the Full Council meeting on Monday, January 28 before 2 PM. A couple of strong leaders preparing to testify for HB 1398. Iosia Faletogo should be alive. I-940 wasn’t enough. Iosia Faletogo was many things: a father of two, Samoan, a hopeful rapper. He deserved the right to live and not be chased and killed by Seattle police on New Year’s after an alleged lane change infraction. As his aunt, Tiare Chanel, told Seattle Weekly, “A lot of the parents are worried about … their kids being home and them coming across police officers.” When we say policing is racist, we are acknowledging that the first cops were enforcers tasked with catching escaped slaves whose tainted legacy as protectors of capital continued along through the Jim Crow south, to the War on Drugs, and into today. The laws are always unjust when the punishments are so-often fatal. It’s been almost five years since Ferguson and Baltimore. The middle schoolers of that era will finish senior year this summer. On this anniversary, police departments are beginning to drop the use of body cameras over “cost” — which is a weird way of saying they’ve had settled a lot claims over the wrongful use of force. We could live in a world where a broken taillight means someone pulls you over to help change it, instead of potentially taking your life. 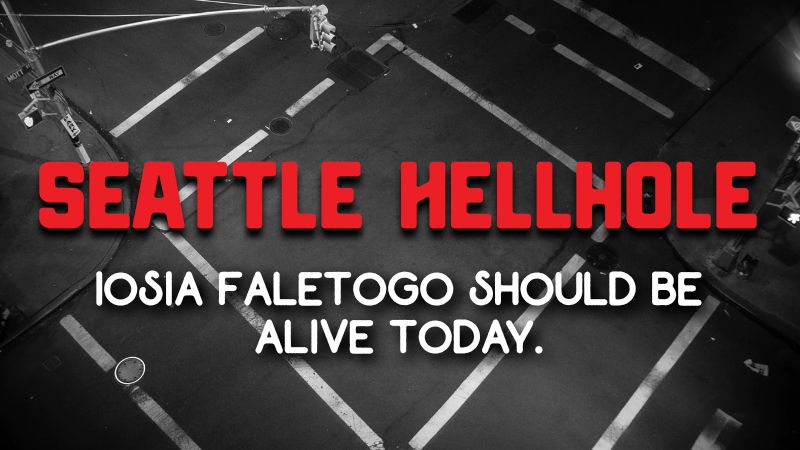 The point is Iosia Faletogo didn’t deserve to die. The system is failing because it was never designed to uphold human life above white supremacy and property. This week a man who did not run for president in Venezuela declared himself president, as his allies called for the military to back him. Shortly thereafter, Trump and Brazilian Fascist Bolsonaro gave him their blessing. Who stands to gain by backing an unelected president and throwing a country into chaos? The history of U.S. intervention abroad makes it clear that the words “democracy” and “freedom” are often deployed as a smokescreen for what amounts to cold-blooded corporate and martial interest. In the early aughts, Venezuela avoided debt speculators on Wall Street and nationalized the world’s largest oil reserves & infrastructure, talking control of the oil industry away from Exxon, Gazprom, and others on the Orinoco Belt. This, in conjunction with war in Iraq, drove oil speculation up. Deep wounds were inflicted on global petroleum. In retaliation, western capital pushed for fracking, farmland-wasting biofuel production, and expanding gulf & arctic drilling. In its campaign to secure oil production, the US has backed the Saud-led violence in Yemen and proxy campaigns in Syria. Capitalists are devastating the world in order to starve out & exploit Venezuela once again. Latin America is not our playground, but for over a century we have treated it as such. It's time to be good neighbors and immediately stop interfering in the internal affairs of Latin America. The US has no place meddling in Venezuela’s affairs or in any other country in Latin America. DSA National released a statement on US imperialism in Venezuela. Great SCOTUS, Marty! It’s a labor ruling in the people’s favor! The Supreme Court recently decided that interstate truckers couldn’t be forced into private arbitration agreements. This means that, in one instance at least, class action is protected and workers will retain their right to sue over minimum wage and wage theft disputes, discrimination, sexual harassment, wrongful termination, and workplace injuries. But mandatory arbitration is still the norm for millions of Americans. That’s why you and your coworkers must organize against the bosses, be it through direct action or a union contract. While his plan for public and social housing around transit hubs isn’t bad, that fact that he’s aiming to be a public official while repping one of the leading big-money development firms in the city has a lot of people grimacing. Are you a DSA member? 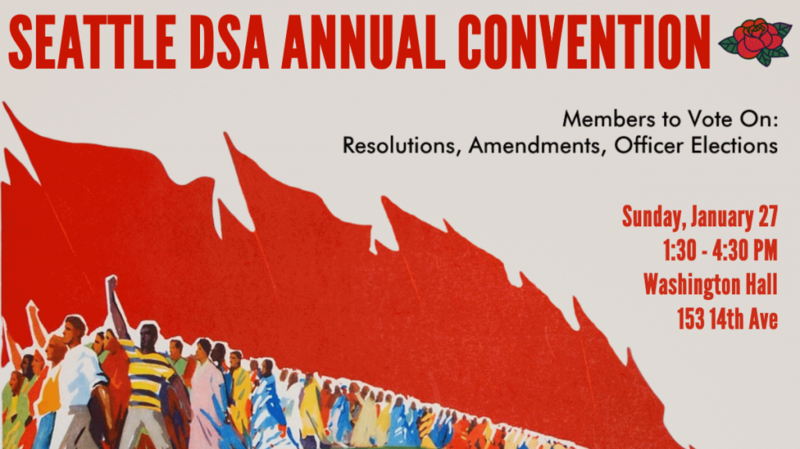 It’s time for the Seattle DSA Annual Convention this Sunday, January 27 from 1:30 to 4:30 PM in Washington Hall! Join us! We’ll be voting on resolutions, amendments, officer elections for the year. There will be food, childcare, and even socialists disagreeing about things but resolving it democratically without declaring themselves president. Shaun Scott, DSA Member and DSA Endorsed Candidate for Seattle City Council, uppercuts the capitalist class on “why on earth are we relying on tech overlords for profitable loans to solve housing and pretending it’s charitable?” in the Guardian.